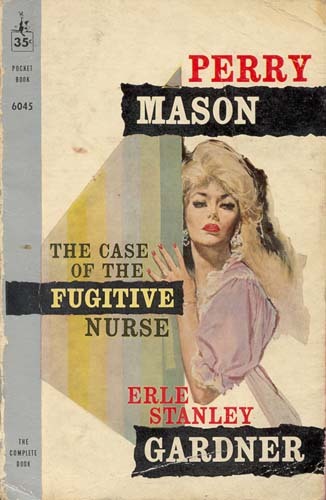 Steffanie Malden’s husband hadn’t been dead twenty-four hours when she showed up in Perry Mason’s office. Her diamonds sparkled, but there were no tears in her beautiful eyes. According to her story, Dr. Malden had taken at least $100,000 in cash from fees and hidden it away in the love-nest apartment he kept for his nurse. The income tax people had been investigating but so far had no proof. She wanted Mason to settle the estate — including the taxes — and do whatever he thought best for her interests. Mason should never have accepted her as a client. But she was out of his office before he fully realized what she really wanted him to do was lift that $100,000, hold it until things settled down and then split it with her. That [words obscured] taxes. Perry Mason was a sucker, then. But it was a lot worse when Steffanie Malden was — ARRESTED FOR MURDER!